If you read often, I’m sure that you’ll know by now how obsessed about stuff I tend to be. And you probably roll your eyes like 573 times when reading my posts. My apologies for that, my friends. Cheesecake? Why have one slice when you can have three. Game of Thrones? Watching all of the 4 seasons in 5 days sounds like a brilliant idea to me. A trip to Ireland? Of course I had to spent the previous 50 days daydreaming about it (and of course, having the same nightmare where my plane crashes over and over again eh) and making list of all the stuff I’m going to buy when I get there. Oatmeal? Or should I say “creamy gold sent straight from heaven”? I love the stuff and I’m not lying when I say that I could eat nothing but oatmeal bowls for the rest of my days. But heavy on the toppings please. Thing is that, as I have mentioned previously, I live in Spain. Not the north, with its cold, lovely summers. Neither the south or east, with their stunning beaches and coasts but the very center of Spain. Enter scorching hot summers, super cold winters and as if it wasn’t enough, there isn’t a single supermarket in my town which I actually enjoy. Not that you can actually go out of the house on summer, to be honest, you’d melt and die if you tried to. Let alone go for a bike ride or run at a time different from 5 am. And don’t you even think of having a warm bowl of oatmeal for breakfast BECAUSE THAT AIN’T HAPPENING. Unless you want to die from one of those heat attacks or whatever they’re called, that is. Then it’s fine if you eat hot porridge in the morning and go running at lunch time. Wish I couldn’t say been there done that, but I can. Not a nice experience, I’ll tell you that. What can I say, I love my runs and my morning oats more than life itself. So baked oatmeal cakes were born. YES I’m aware they’re baked, but you can totally make them ahead of time and enjoy them cold the morning after, which is a win win, right? Bonus points for the fact that they’re pretty much anything you want them to be (chocolate, vanilla, cinnamon, banana… sadly they can’t be Robb Stark, but I’m working on that); you can make them vegan or go for a higher protein version if you wish; and the best part is that they are AN ABSOLUTELY HEALTHY WAY TO HAVE YOUR CAKE FOR BREAKFAST AND EAT IT TOO. And you get a tahini drizzle as well – do you guys like tahini? Lots of people dislike its slighty bitter taste, but I’m a big fan of the stuff! Though anyway, adding some sweetener such as honey and maple syrup reduces the bitter factor and makes it suitable to all tastes. 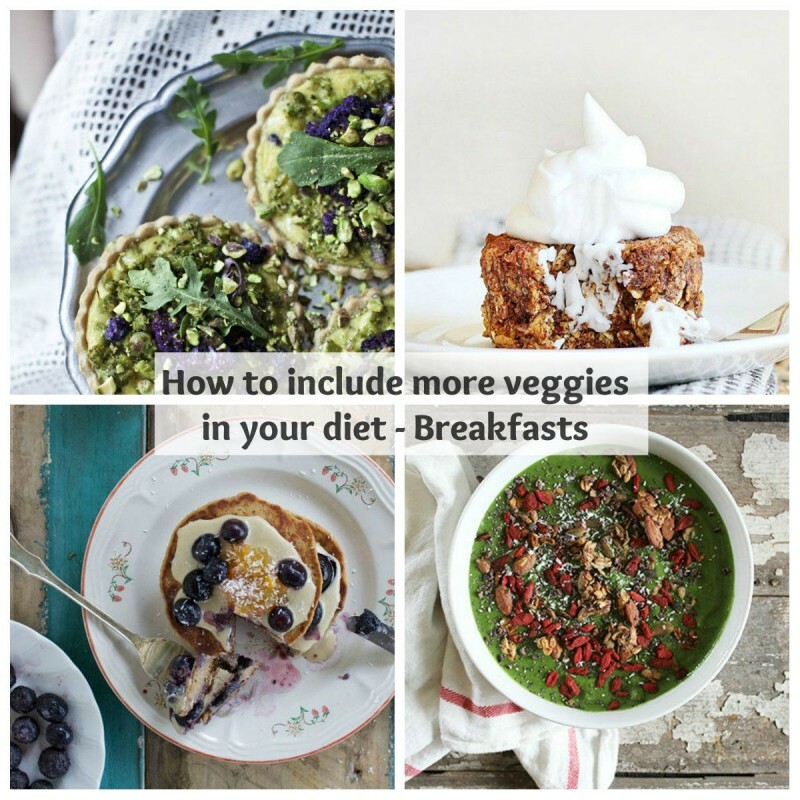 Speaking of veggies in breakfast, have you guys checked my friend Dearna’s How to include more vegetables in your diet blog series? Here’s part 1 and part 2, full of delicious ideas to make all your meals healthier and delicious. So worth checking out! I shall leave you now guys. It’s 1 am here and I have to make the most of this time of the day when it’s not 829038403F outside to amp up my warm beverages consumption and watch some series now that my laptop won’t burn my tights. Now you can have cake for brekafast and eat it too. Full of fiber, nutrients and protein, this is some cake you can actually feel good about devouring! Mix wet ingredients in a different one. Combine both bowls and stir with a wooden spoon until fully mixed. Grease 8 ramekins and spoon mixture inside. Bake at 200ºC (400F) for 15-20 minutes or until oatmeal has set. For vegan cakes used nut/oat/rice/coconut milk and 2 flax eggs. I like to use vanilla herbal tea instead of water, but it's all up to you. You can even use more milk instead if you wish! I topped mine with vanilla bean coconut yogurt, tahini sauce and some date caramel. p.s: which series can I watch? Now that I’m done with Game of Thrones, all of the remaining shows seem so boring to me ugh. Bonus point for you if your recommendations involve gorgeous men with a beard. Hope you start your week off right! You certainly cannot go wrong with cake for breakfast – or warm oatmeal if you’re lucky enough to live on the south hemisphere this time of the year. If that’s the case, do tell me and I’ll come over and live with you for the next 2 months. I’m bringing my laptop and a tin of cookies so we can binge watch some series (GoT preferably) while we munch on cookies and drink warm tea. Love these cakes! I haven’t eaten oatmeal in a month or so now because it’s just too hot! And I really like that you snuck in some veggies! Oh my goodness, I think we live in similar climates actually. I nearly gave myself heatstroke from soup the other day–I wanted soup, you know? These look so good! Tahini is so delicious. I can only imagine. Hahaha I’m craving soup like mad too! Thank you! I am a hooooge fan of sneaking in veggies into all baked goods – Consuelo – these oatmeal cakes are fabulous with that zucchini tucked in! And I have only had tahini in savory dishes, it never occurred to me to add honey or maple syrup to it to sweeten up the bitter taste. Thanks for sharing these! Oh Consuelo, I know what you mean about that summer heat! I lived in Greece for many years, as you probably know, where it gets up to 40 degrees and even beyond in July and August. And it doesn’t cool down very much at night. Oh my goodness, I love these oatmeal cakes! So creative and perfect for summer! I tire of regular old oatmeal quickly, but I am loving the idea of having oatmeal cakes! Now I can finally justify having cake for breakfast! Hehe isn’t cake for breakfast fab? 😉 Thanks Eva! You got me on oatmeal and game of thrones! My two fav obsessions!! When I’m abroad I make sure to spend at least one afternoon perusing the local grocery stores. It’s such a fun thing to do! When I was in Barcelona I remembering spending a good 3 hours in a Corte Ingles supermarket. I sampled all the Serranos and quesos they had…sooooo delish. Talking about delicious things, those zoatmeal cakes look legit. I’m loving the tahini dressing as well! Corte Ingles supermarkets are a faorite of mine too since we don’t have them in my town, so I always spend hours there hahaha! I am sweating just listening to you describe the summer temps! You’re very smart to come up with this alternative. Everything’s better in cake form. I am also a fanatic about oatmeal…I love chewy steel cut oats with a passion! I’m still eating it but it may soon get too hot here for it, too. This is so creative with the tahini drizzle! OMG I need some of this in my life. YUM! This looks like the most heavenly oatmeal I have ever seen. Love that you can eat it cold out of the refrigerator and I’ve never used tahini for anything but hummus. Love that you sweetened it up and drizzled the oatmeal with it! LOVE that these are zucchini and oatmeal! A great way to include veggies for breakfast. I always love reading your posts, Consuelo so no eye rolling here! Great way to use tahini too! I love the zucchini and coconut in this oatmeal — so delicious! I’ve never had tahini sweetened up like this, but since I’m really into the whole sweet and savory thing, I have a feeling I’d love this. Can’t wait to try it! You would, for sure! 😉 It’s plain delish! Thanks! Nos encantan estos pastelitos. estamos flipando con la mezcla de ingredientes, tienen que ser adictivos!!! El paisaje debe de ser precioso, sí *. * Muchas gracias! That’s going to be my life motto from now on. Inspiring, isn’t it? Thank you! delish! Cake for breakfast is the best idea ever. I’m similar to you, I love exploring the supermarkets in other countries- I loved Mallorca when I visited last summer- always so interesting because it’s different to the UK. I like oatmeal, but never eat it in the summer because it’s too hot. This is a great alternative! This is a great idea! I love oatmeal for breakfast in the winter but come summer I need something different yet still filling and healthy! Pinned! If I lived in the middle of Spain I would just drive myself straight up into France and never leave 😉 But I have a strange affinity for France. Ooohhh great idea – now I’ll just have to learn to drive 😉 Thank you!! You’re absolutely hilarious Consuelo! It’s absolutely scorching hot over here too but I still eat my oatmeal warm sometimes even if it melts me. Anyway these oatmeal cakes look like a perfect solution! And I love the sound of that tahini drizzle. I laughed out loud when you said Robb Stark hahaha. We actually love all the same things! It’s kind of creepy 🙂 These look absolutely delicious! I love tahini but I’ve never tried a sweet version. I’ll just have to make these for breakfast tomorrow! Hmmm. Where you live in Spain sounds suspiciously like NYC weather! It’s THE.WORST. It definitely makes eating certain things during the summer a bit rough. I love your not hot version of oatmeal! These cakes sound awesome. Yeaahhh this weather is soooo annoying :'( Thank you! Consuelo, I am just dying to go to Spain! Maybe not during a heat wave though… Love these cakes, and cake for break-fast? Sign me up! Ireland is such a lovely country indeed – whenever you have the chance to go, do so. You’ll love it, I’m sure! It’s OK – I have my own obsessions over here!! And definitely no eye rolling going on here 🙂 Love this – it looks so perfect! You would for sure, it’s plain delish! 😉 Thank you! Wow, these little cakes look delicious and I love that there’s some zucchini in them! Perfect for this time of year. The drizzle is a nice touch, too! Best spent 40h of your life, I tell you. I like the way you speak about Spanish summer. It sounds like a real summer. I’m in London, can you understand what I mean? Here summer is the exceptional day when everybody goes out to set a BBQ 🙂 I am in love with this zoatmeal and its decadent toppings. Oh to be honest, I love it there in summer (oh well, I’ve never been to London, but I0m assuming that Irish weather is quite the same!) hehehe 😉 Thank you! Consuelo, love these cakes! They are so healthy. I would love to have these for breakfast. And the topping is so delicious!